For the second summer in a row, Coca-Cola is putting first names on bottles and cans of Diet Coke, Coke, the boy’s version of Diet Coke whose name I forget (black label), and that odd one with the green label (anybody remember New Coke?) I’ve been amused by this and noticing which names I get when I buy a bottle at my local pizza places. 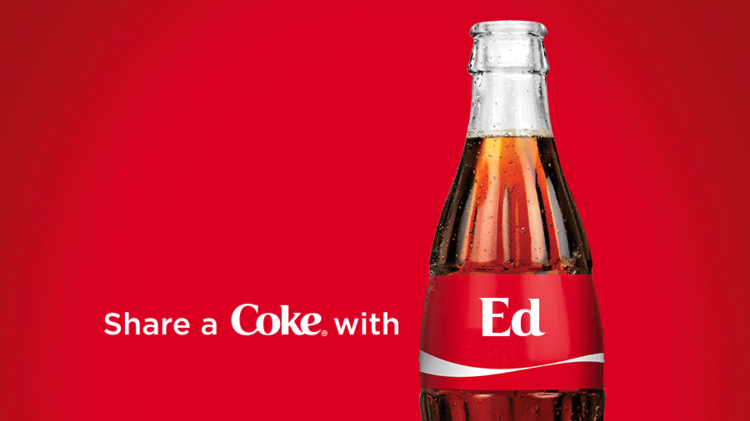 I have yet to see my name, although shareacoke.com says it is in circulation, so to speak. Most of the names I’ve seen are very millenial or younger, Ashleys and Justins and Maxes and Courtneys, etc. But last week I saw one that really surprised me. Everything old–really old–is new again, and I knew Jesse has been a popular name for a while. Emma is back, Charlotte is back (as a baby princess), and I’m wondering if George will make a comeback now that little Prince George is on the scene. The name that stopped me was Preston. My uncle Preston was my dad’s youngest brother. If he were living he would be over 90 now. Uncle Preston didn’t farm, unlike most of his family, but owned a garage and worked as a mechanic. Back in the day, the men would come and hang out at the garage, smoking cigarettes and drinking Cokes. They had nicknames for each other and told stories about what they’d done and seen. Beetle was named after Beetle Bailey because he had been in the Army. A cousin was called Goat for reasons that weren’t clear to me as a child. My aunt Eunice’s husband was called Tip. Several went by their initials, a grand old Southern tradition, so I had cousins known as W. P. and W. C. I have to look them up in another cousin’s geneaology book to find out what their full names were. It was at Uncle Preston’s garage that Daddy fell off a truck he was working on, and broke his arm. In the winter it was a cozy hangout despite its concrete walls and floor and tin roof because the wood-burning stove was always fired up. Winters could be lonely in the country, so the men were happy to have somewhere they could go and gossip besides the country store. I can see Uncle Preston now and hear Aunt Mary Emma shrieking out the kitchen door, “PRESTOOOON! DINNER!” So, thanks, Coca-Cola, for bringing that memory back!